Nili is a reputed drug for the promotion of hair growth. Due to antitoxic property it is also a good remedy for poisons. 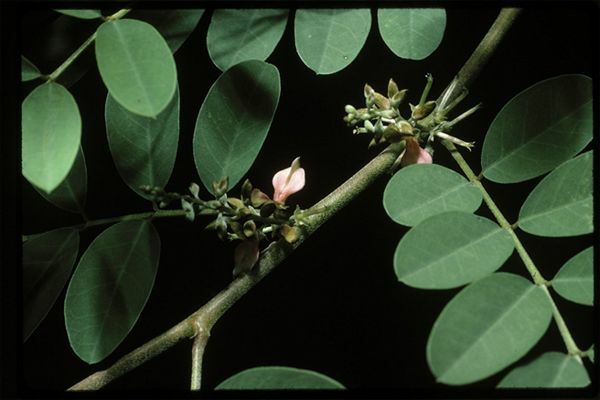 This plant, which is the original source of natural indigo, is an erect shrub with imparipinnate leaves. 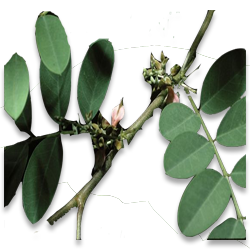 Leaves are important in medicine and form a major ingredient of preparations like 'Nilibhringadi'. Prepare the soil to fine tilth by ploughing two or three times. Seeds are very small and the seed rate is 3 kg/ha. Seeds require pretreatment for good germination, as the seed coat is hard. Seeds are mixed with sand and ground gently to break the seed coat. An alternate method for enhancing germination is dipping the seeds in boiling water for a second. After pre-treatment seeds are broadcasted. Broadcast the seeds preferably mixed with sand 2-3 times its volume to ensure uniform coverage. Seeds germinate within a week.Alternatively 1-1.5 months old seedlings raised on beds or in polybags can be transplanted at a spacing of 45 x 30 cm. . The best time for sowing is September-October. Apply cattle manure at the rate of 10 t/ha as basal dressing and incorporate into soil along with last ploughing. Weeding has to be done twice, three weeks and six weeks after sowing. Plants start flowering 2-3 months after sowing. Harvesting is done by cutting the plants at this time, at a height of about 20 cm from ground level. Irrigate plants after harvest. Subsequent harvests can be made at 1.5-2 months interval. 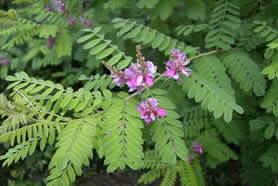 Four to five cuttings can be taken in a year depending on the growth. A few plants per plot are left without cutting to set seeds. Ripe pods are to be harvested in the early morning to prevent loss of seeds by shattering during harvest. The psyllid Arytaina puctipennis infest top shoot causing curling up and drooping of leaves and shoots, and wilting of plants.